Mr. Kurtz's Neighborhood: Who will rid me of this turbulent priest? Whether or not he said it, this statement, attributed to Henry II of England spoke more than he could know, for turbulence is with us always. the weather, turbulence and that horror under the stairs of science, non-linear systems. It starts, more or less, with Lewis Fry Richardson (October 11, 1881 - September 30, 1953), British mathematician, physicist and psychologist. A Quaker, Richardson attempted to apply his pacifist principles to the causes of war, including a theory that the likelyhood of war between two countries was a function of the length of their common border. In researching his books Arms and Insecurity (1949) and Statistics of Deadly Quarrels (1950) he realized that various gazeteers listed different values for international borders. This led to work on how the length of a border changed as the unit of measurement is changed. "Research on the Length of Coastlines and Borders. 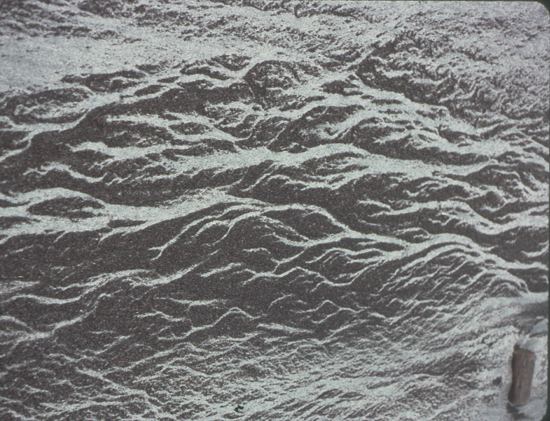 This work, and others by Richardson were cited by the mathematician Benoit Mandeldrot in a 1967 paper How Long is the Coast of Britain? in which he speculated that if the unit of measurement was small enough, a figure of infinite length (the coastline) could enclose a finite area, although, as Mandelbrot was aware, this would violate Quantum Theory. Mandelbrot was also famous for some of the most popularly known manifestations of Chaos Theory, Fractal Geometry and The Mandelbrot Set. The Mandelbrot Set at increasing magnification, showing similarity at different scales. In "The Fractal Geometry of Nature", he noted that; Clouds are not spheres, mountains are not cones, coastlines are not circles, and bark is not smooth, nor does lightning travel in a straight line. 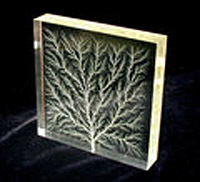 High Voltage breakdown within a 4″ block of acrylic creates a fractal Lichtenberg figure. and little whorls have smaller whorls and so on to viscosity. Lorenz's interest in Chaos theory came through an accident in his work on weather prediction. In 1961. Lorenz was using a basic computer, a Royal McBee LPG-30, to run his weather simulation. He wanted to see a sequence of data again and to save time he started the simulation in the middle of its course. He was able to do this by entering a printout of the data corresponding to conditions in the middle of his simulation which he had calculated last time. To his surprise, the printouts began showing wildly varying points instead of a steady resumption of the previous pattern. 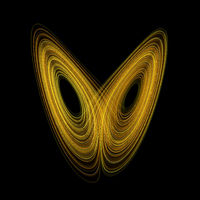 The Butterfly Effect is a phrase that encapsulates the more technical notion of sensitive dependence on initial conditions in chaos theory. The idea is that small variations in the initial conditions of a dynamical system produce large variations in the long term behavior of the system. The practical consequence of the butterfly effect is that complex systems such as the weather or the stock market are difficult to predict over any useful time range. This is because any finite model that attempts to simulate a system must necessarily truncate some information about the initial conditions—for example, when simulating the weather, one would not be able to include the wind coming from every butterfly's wings. In a chaotic system, these errors are magnified as each unit of time is simulated until the bound on the percent error of the result exceeds one hundred percent. Thus the predictions of the simulation are useless after a certain finite amount of time. As far as non-linearity and turbulence are concerned, perhaps this possibly apocryphal quote attributed to Werner Heisenberg is apropos. Wow! You always fascinate me with your wide field of knowledge. 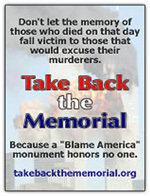 This is definitely a great article! How are you? I hope you are well. Take good care of yourself. lol. I know you will. Just had to be motherly, ya know! lol.